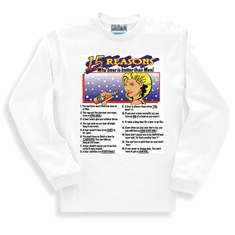 Shirt: 15 REASONS why beer is better than MEN! Home/Our HoneVille.com Store/NOVELTY designs/Shirt: 15 REASONS why beer is better than MEN! 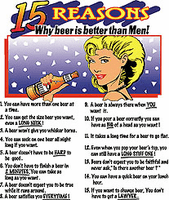 T-Shirt: 15 REASONS why beer is better than MEN! Sweatshirt or long sleeve T-Shirt: 15 REASONS why beer is better than MEN! 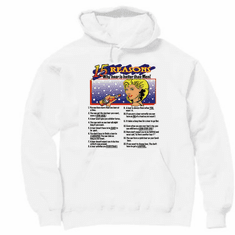 Pullover hoodie hooded Sweatshirt: 15 REASONS why beer is better than MEN!